#Ad #TRUFITTARGET - GoodNites* TRU-FIT* sponsored with 100% written by me and of my opinion! Potty training is not the same for any single child. Some children seem to teach themselves and others require a lot of attention and practice. I feel like this may be stating the obvious but I had to say it as I feel as if our family is the perfect example. Dane was literally an over night process. We told him no more diapers and he was done. We never EVER had an accident even during the first few evenings. It was amazing - every mother's dream! Then, Declan came along and decided to test every rule known to man. Declan has been bed-wetting for at least a year now. No matter what we've tried, it just hasn't worked with him. He is so active during the day, he just sleeps so hard during the night time. The only time he ends up with a dry bed in the morning is when he is sick and dehydrated. 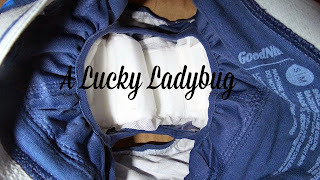 We constantly have an upset child in the morning when he's leaked as well as the night's we give it a try with big boy underwear. He is constantly wanting to be like his big brother and feels as if he is missing out since we kept him from going to Pre-K because of this delay. So when the opportunity first came around to check out the new GoodNites* TRU-FIT* Underwear, I figured it would be something new to give a shot. With 1 in 6 children between the ages of 4-12 in the United States suffering from bedwetting, I know what my child is going through isn't uncommon. There are tons of children who get discouraged easily from participating in things like sports or spending the night somewhere and I do NOT want to see my son feeling this way ever! I was a bit hesitant at first even after reading all about them online. I figured they might be more like diaper covered and still not any more comfortable than diaper for Declan. 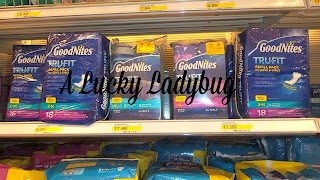 Available at Target, GoodNites* TRU-FIT* Underwear are actually real underwear with specific slot inside for a liner. Right away these "disposable, absorbent inserts" felt softer than most diapers or underwear to me. Using a six-layer advanced absorbent technology, these are both soft on your child's skin and provide the ultimate in leakage protection! In the inevitable case that a leak does happen, the underwear part is completely machine-washable. Declan loved wearing these right away and even said "ooh these feel good" when we first put them on him. So far we have worn these for a couple weeks and not a single leak! I've even purchased the refill inserts and have to say this is a much better alternative to all the diapers we've purchased in the past. I've even discovered over the last 24 hours that these help a child's confidence in more ways than just bedwetting. With Declan sick today with pretty severe diarrhea, we had several "other" accidents this morning. Declan was pretty devastated about this each time it happened. That was until I had him put on his GoodNites* TRU-FIT* Underwears! It helped him get the confidence to even leave the bed and bathroom so he could still enjoy his day. Coupon is valid for in-store purchases, and is available on Target.com from November 2, 2014 to November 29, 2014. Coupon expires on December 6, 2014. Don't forget to attend the GoodNites* TRU-FIT* #TRUFITTARGET Twitter Party on Wednesday, November 19 at 8:00 AM PST / 11:00 AM EST. Even your children can participate if they want! They are not alone!